WHAT KIND OF MOTORCYCLE RIDER BEST DESCRIBES YOU? Still on your Motorcycle Learner Permit? Maybe you have your restricted License, but still not feeling too confident in traffic. Then we can help you. We will coach you One-On-One with helmet intercoms on-road to help build your comfort, confidence and safety in traffic situations. I originally did my Victorian Motorcycle Learners with Ride-Tek. From that experience I booked in to do my full P’s purely due to their service. 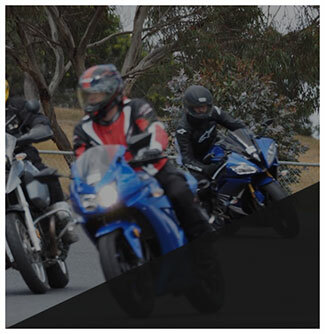 At Ride-Tek MTA our job is to make sure you meet the skills and the legal requirements to obtain your Victorian Motorcycle Permit or licence, and to ensure that you can ride safely. We provide courses seven days a week catering for every level of experience. We are confident that our training methods and our instructor skill levels will actually teach you how to ride properly, NOT simply how to pass the test. There will be plenty of laughs along the way to that your Motorcycle riding experience is not only as safe as we can make it but IT'S ALSO FUN!!! At Ride-Tek MTA we fit into your frame of work, we will train you at a time convenient to you, including weekends. Ride-Tek has been training Victorian Motorcyclists for nearly 20 years and is now one of the most respected names in the business. Mel Baker and his team of experienced motorcycle trainers don’t just want you to get your motorcycle licence, they care about your safety. Mel has been a regular on the race track and has been riding for decades. He has been training motorcyclists for Victorian learners, preparing riders for their Motorcycle Licence Assessment, and Advanced training for over 20 years. Learners Permit – This is our flagship beginners course. The Motorcycle Learners Permit Course is held over 2 days and is 15 hours in length.. This intensive 2 day course covers every safety aspect relevant for novice riders, from the basic control skills, to the point where the students skill level will be safe for “real world” road riding. The training and testing consists of various exercises on our training range in addition to on the road. 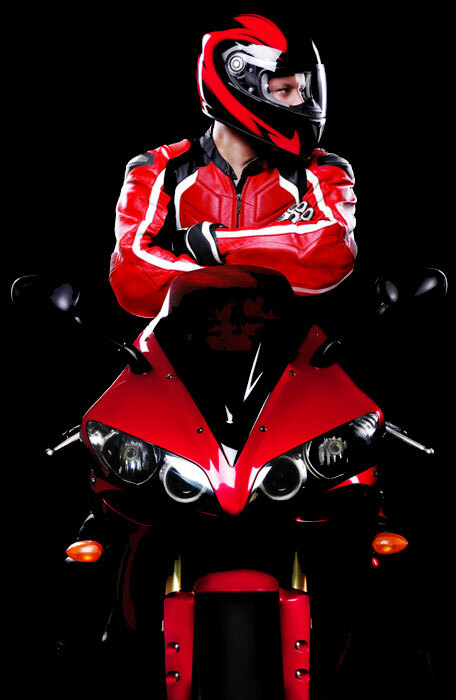 Our aim is to have you confidently riding once you get your licence. Ride-Tek puts you in the best position to gain the skills and knowledge for you to gain your Motorcycle Learners Permit and to gain to be successful in your Motorcycle Licence Assessment. One-on-One Private Lessons – This is our newest program which we are excited about. If you aren’t keen on learning in a group, you can choose to have a One on One private lesson with Mel Baker. Whether you are a novice rider, a returning rider, or simply wanting to brush up on your skills, we think you’ll appreciate some one on one time! Private lessons with communication via intercom is the most efficient way to gain skills. The focus of these sessions is on Road Craft. Have a talk to Mel and he will be able to assist. An hour or two is maybe all you will need. Private Motorcycle Training can also be the most cost effective way to increase you skills. The training as directed specifically to your requirements. Check Ride – Is now mandatory. This is an opportunity for learners permit holders to obtain additional Motorcycle Licence Training and needs to be taken at least 1 calendar month before obtaining your motorcycle licence. The Check Ride is a wonderful opportunity for you to perform a skills check to see if you are ready for the Licence Assessment. Learner Refresher Course – For holders of a motorcycle learner permit, but have not had sufficient opportunity to further develop their practical riding skills since obtaining their permit. This refresher course is done in a class setting or via the Private Lessons as above, ensuring the time spent is spent working on improving your riding skills to suit your requirements. With just some guidance your Motorcycle Riding skills will increase drastically. We want you to be confident when you are riding! Cruiser Rider Course – This course is designed specifically for riders who hold a current licence but have not ridden for an extended period, or rider that is new to handling the heavy Cruiser. Compared to other motorcycles, cruisers are heavier and have increased weight at the rear wheel. Cruiser motorcycles also have lower ground clearance and due to their weight, long wheelbase and to steering geometry are often harder to maneuver. Organise a group or have a private lesson. Particular for those who have had a break from riding. A refresher course can also help to assess some of the bad habits that have been picked up over time. Not every habit is a good one! Ride-Tek was established on a passion to create and deliver a motorcycle licence training business which rapidly became the “One-Stop-Shop” in Motorcycle Training in Victoria. Nearly 20 years later, the passion is maintained with Mel and his team of highly experienced trainers of both women and men. The quality of our trainers and the comprehensive range of courses on offer has created an enviable reputation in the industry. The Ride-Tek team are professional riders, dedicated to helping other motorcyclists in developing their skills to become the safest road-riders they can possibly be. We look forward to seeing you at Ride-Tek and remember “Your Safety Is Our Business”. Ride-Tek is located at the Sandown Racetrack, at Gate 16 591-659 Princes Hwy, Springvale, Melbourne, Victoria, Just 5 minutes from Dandenong – Victoria’s Premier Learner Training & Motorcycle Licence Assessment. Experience does Matter. Ride-Tek constantly receives 5 Star Reviews. Nearly 20 years of training mototrcyclists for Learners Permit, licence and advanced training. Now provides Private training.